With craft cocktails, artisanal cheeses, and a creative twist on southern classics, Finch & Fifth is your new local hang out. Since Finch & Fifth opened in December of 2013, our goal has been to provide the city of Augusta with creative dishes and libations in a laid-back environment. We pride ourselves on our friendly service and our ability to provide a relaxing and enjoyable dining experience. Good company is one of them. 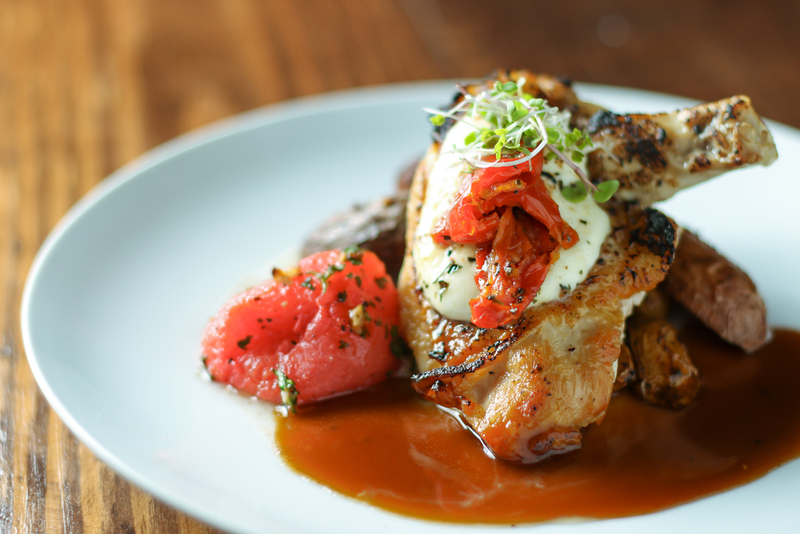 We thrive to provide a fresh take on southern contemporary dining with locally sourced products and of the season offerings. Click on our menus below to enlarge. We are only serving Dinner during Masters Week. Four Roses bourbon, raw sugar syrup, orange zest, black walnut and orange bitters poured over a large cube of ice. Empress indigo gin, Italicus bergamot liquor, lavender bitters, lemon juice, Jack Rudy small batch tonic, and club soda on ice with a rosemary sprig. A Fruitland Augusta’s Peach tea vodka, mint and lemon juice. Served over crushed ice. Wheatley vodka, Rhubarb bitters, and a strawberry basil purée shaken and served over crushed ice. Cimmarron blanco tequila, Gran Mariner, muddled cucumbers, cilantro, and lime juice. Shaken and served on ice with a salt rim. Barr Hill honey gin, honey ginger syrup, and fresh squeezed lemon juice shaken on ice and served up with a lemon zest.